Dr. Ganan being duct taped to a wall for our Student Council's Lucila Fundraiser! 2019 GeoBee Champ, 5th grader John Bielobradek (right) with runner-up, 5th grader Xavier Mrozik-Dejesus. Dr. Ganan reads to a group of students at the PTA Book Fair during Parent/Teacher Conferences. Mrs. Frey's class works in two groups to create a common goal! Mayor Hermanek surprises the 2nd grade with a visit and gifts in response to their letters. The Latest Edition of Paw Prints is Now Available. 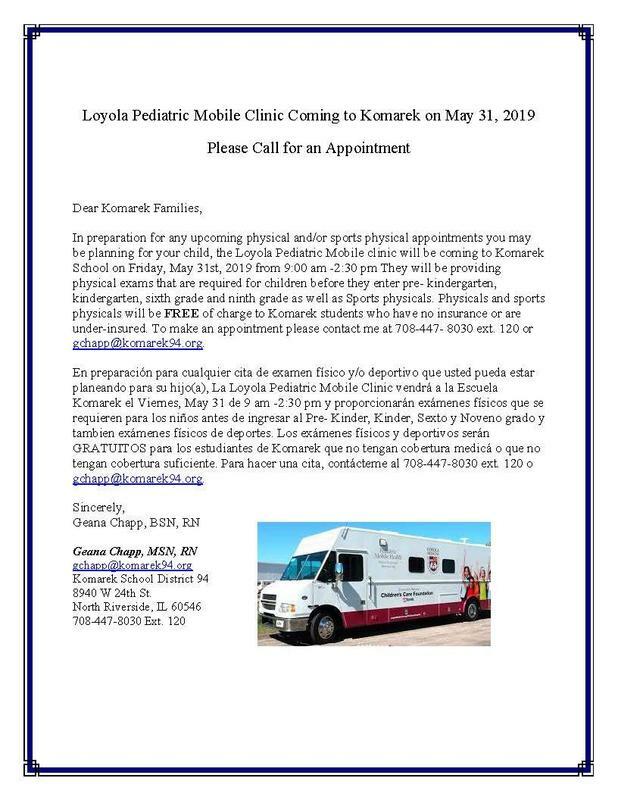 Loyola Pediatric Mobile Clinic will be providing physicals and/or sports physicals on Friday, May 31st by appointment. 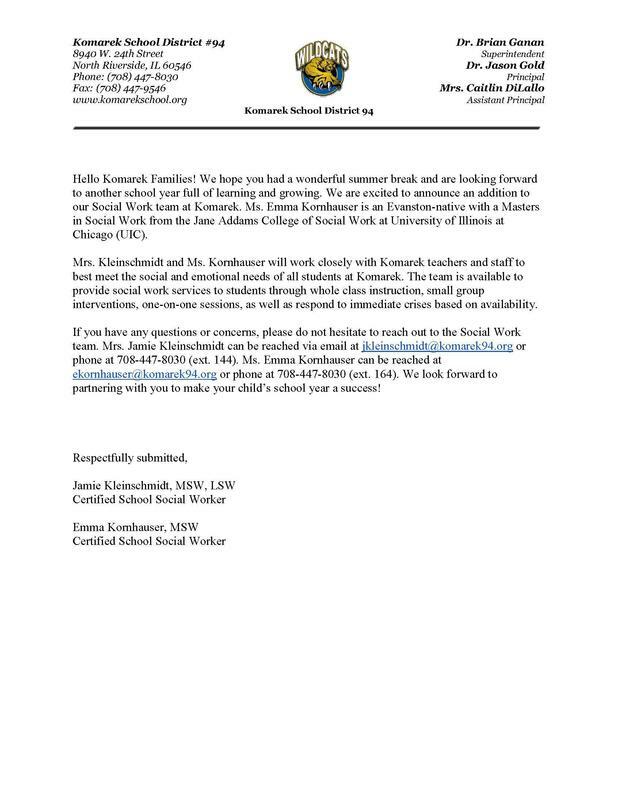 Please see the flyer for details. 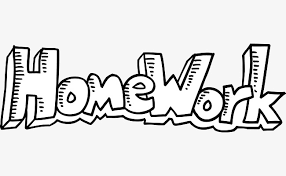 Please read the attached letter in regards to homework class for the 2018-2019 school year. 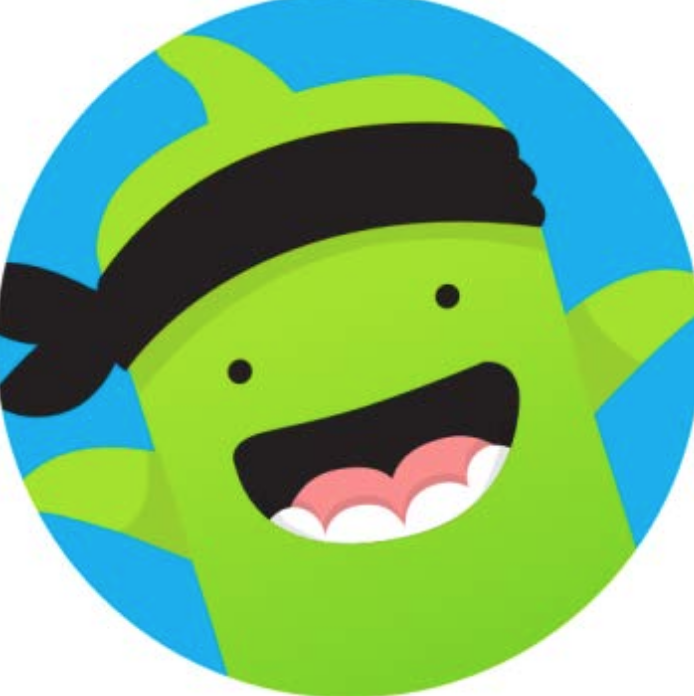 Click on the link to find out more on how ClassDojo is used at Komarek School!